We have many ways to help your listings get more exposure. If you are wanting more SEO juice for your marketing, one way is to link back as much as possible. So how do you link back and have it look good? Drive traffic with our different types of Property Widgets that link to your gorgeous HD property websites to give consumers what they want...more information and lot's of great pictures and the best part, you'll be increasing your Search Engine results at the same time as each link back is seen as a "vote" for your listings. What the heck is a Widget? From Wikipedia: A widget is a stand-alone application that can be embedded into third party sites by any user on a page where they have rights of authorship, e.g. a webpage, blog, or profile on a social media site. 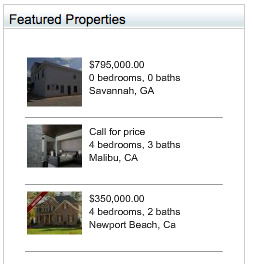 How does a "Featured Property Widget" work? We give you an slice of code that you can paste into blogs, personal websites and anywhere on the web both in or outside of our system. We then feed in the information automatically so that you never have to touch the widget again after pasted in. Doesn't get more simple than that and as Real Estate Agents, time is one of our most valuable commodities. 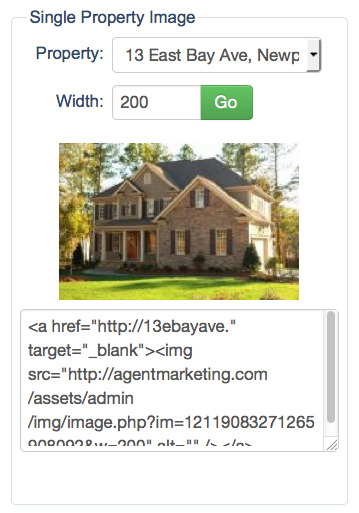 We have different ways that your listings can be displayed throughout the web. 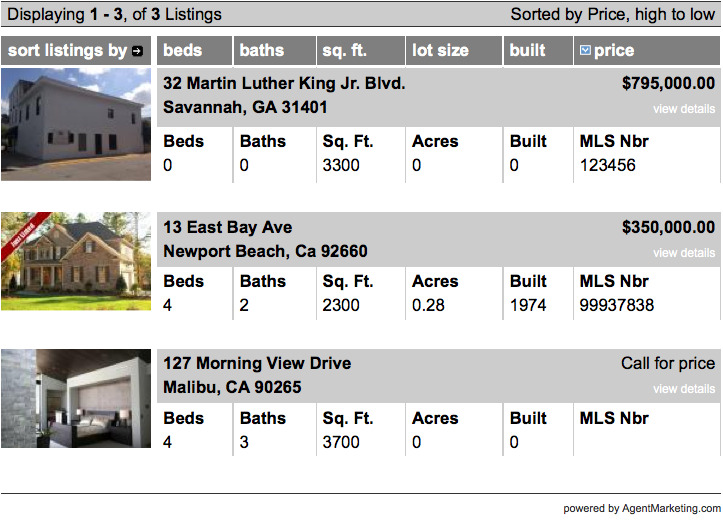 Multiple listings at a time, single listings, listing book, map widgets...etc. all to help you drive more interest. 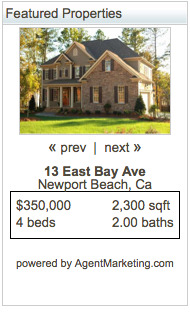 Above is an example of one of our "Featured Properties" Widgets that automatically scrolls throught the pictures and information of your various listings. The buyers can even take control and scroll through the listings, then click to the Property Website and see all the details. Our List format shown above that is great for showcasing a bunch of listings and can be edited to display in any color code combination to match your Website. This list can even be sorted by Beds, Baths, Sq. Ft. Acres, Year Built or the MLS number. 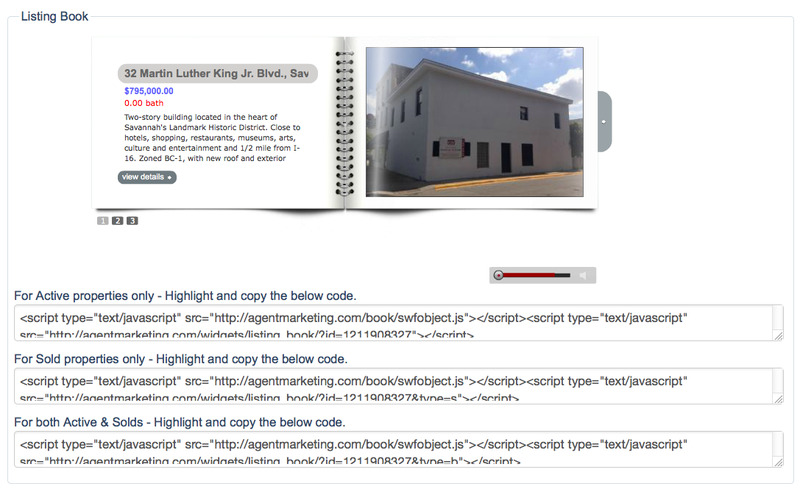 Show up to 12 Listings per page with multiple pages supported. Our Side by Side clean and simple look allows you to display mutliple listings in a row and will keep wrapping so you can actually cover a website with different property tiles. 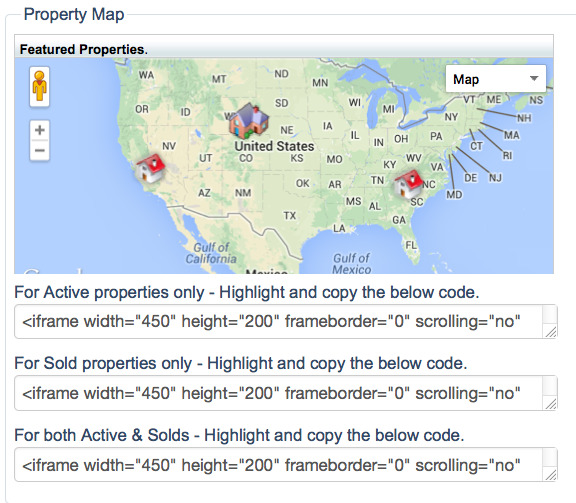 Show your Active or Sold listings on a Map with our Map Based Widget. The great thing about all of our map functions is that we allow you to change the icons for each listing to stand out and add a bit of fun, marketing punch or whimsy! 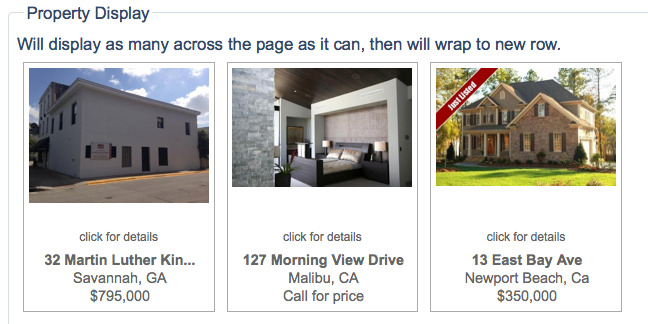 The super popluar "Flip Show" widget allows you to have the front page of your Website have a page turning book to properly showcase your listings and decide to have different ones for Active or Sold Properties or a combination. The Flash Scrolling widget seamlessly scrolls through your properties and is really great for desktop viewing with clickable links for every property. This image based Widget is popular for posting on Wordpress Themes and also for posting a more simple ad that also links to your Virtual Tour and Property Websites. If you are looking to help attract eyes to your listings, Widgets can be a powerful way to do so and our flexibility and automatic feed to your Widgets simplify the process tremendiously. The more places you put your listings, the more you are branding yourself as a top notch Agent. As they say, you never have a second chance to make a first impression.